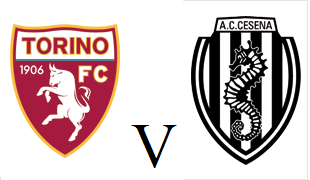 Torino will end what has been a memorable campaign for the Granata with a home match against already relegated Cesena on Sunday evening. Cristian Molinaro misses out through suspension and Omar El Kaddouri misses out through injury so youngsters Kevin Bonifazi, Claudio Morra and Simone Rosso are all included in the squad. Last weekend's defeat against AC Milan means that Toro will not be able to qualify for Europe, but the men in maroon could finish as high as 8th with a victory. Cesena have already been relegated having only managed four victories this season since being promoted, but the reverse fixture was one of the major catalysts in Toro's resurgence in the second half of the season. The Granata had thrown away a 2-0 goal lead against the Cavallucci Marini back in January, but a late Maxi Lopez goal gave Toro an important victory that started an unbeaten run of nine games. 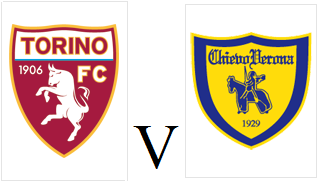 Torino kept their slim hopes of European qualification alive with a 2-0 victory over Chievo on Sunday afternoon. Giampiero Ventura gave rare starts to Pontus Jansson and Gaston Silva in defence, whilst Josef Martinez replaced the injured Fabio Quagliarella upfront. Former Torino striker Riccardo Meggiorini almost opened the scoring for Chievo, but he blazed his shot over the bar from a difficult angle. Josef Martinez twice came close to giving Toro the lead, but the Venezuelan was narrowly close from long range on both occasions. An excellent through ball from Omar El Kaddouri put Martinez through on goal, but this time he was denied by Chievo keeper Francesco Bardi. However, moments later, former Chievo striker Maxi Lopez gave Toro a deserved lead after he headed home following a goalmouth scramble. Toro doubled their lead when a long clearance from substitute Kamil Glik put Maxi Lopez in a foot race against Bostjan Cesar, and the Argentine was able to keep his composure and score. 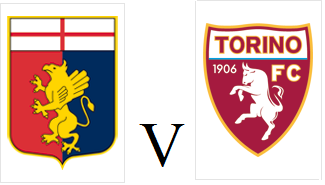 With two games remaining, the Granata are now five points away from 6th place and the final Europa League place - however, if Genoa are denied a Uefa license, then much like last season, Toro could qualify for Europe with a 7th placed finish. Torino saw their European dreams shattered on Monday evening as three late goals helped Genoa to an impressive 5-1 victory. Cristian Molinaro was surprisingly preferred to Matteo Darmian at left wing back, whilst Maxi Lopez partnered Fabio Quagliarella upfront. The Granata had a great chance at the start of the game when Molinaro cut the ball back for Quagliarella, but the former Sampdoria man blazed the ball over the bar. Genoa then took the lead moments later, as great work from M'Baye Niang and Marco Borriello allowed Iago Falque to fire home and continue his recent goalscoring run. It took until the hour mark for Torino to find an equaliser, but they did so in style thanks to Omar El Kaddouri's fantastic free kick. However, parity lasted less than ten minutes as the home side took the lead thanks to substitute Tino Costa's deflected free kick. Giampiero Ventura brought on Alexander Farnerud and Amauri in attempt to find an equaliser that may have prolonged Toro's European quest, but Andrea Bertolacci's fine curling shot meant the points would stay in Genoa. With Toro knowing the game was over, Genoa took advantage in injury time with Leonardo Pavoletti and the Tino Costa both scoring to make the final score somewhat flattering. However, there was no denying that Genoa were the better side, and they will now go on to try and secure European football in the final three games of the season. For Toro, this was an embarrassing result and one that meant there would be no repeat of this season's European adventure. But after a victory at San Mames against Athletic Bilbao, a 5-1 victory in Copenhagen and a derby victory over Juventus - I think all Toro fans would agree that this season has been a rather successful one. Torino will look to rebound from Wednesday's disappointing defeat against Empoli when they travel to face Europa League rivals Genoa on Monday evening. Sampdoria's victory against Udinese on Sunday afternoon means that the Granata are currently six points away from 6th place, albeit with a game in hand. That means, that for Toro to have any chance of securing European football next season, nothing but a victory will suffice. Bruno Peres and Maxi Lopez should both return to the Torino starting eleven after not starting last time out, whilst Marco Benassi should also replace Alvaro Gonzalez in midfield. Genoa are two points above Toro, and are therefore also in the race for 6th place, despite being denied a license to compete in European football earlier this week, a decision that they have already appealed. 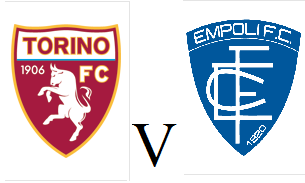 Torino can move into the Europa League places for the first time this season when they face Empoli at the Stadio Olimpio tomorrow afternoon. 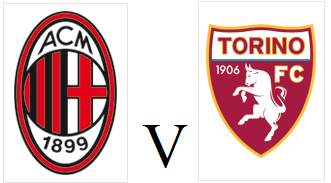 This game was moved to the rather ridiculous kick off time off of 3pm local time on Wednesday afternoon due to Juventus' progression in the Champions League, and only a limited number of Toro fans will be able to attend the game due to crowd trouble at last months' Derby Della Mole. Emiliano Moretti and Alessandro Gazzi are both back in the squad following suspension and should come straight back into the starting eleven - but Nikola Maksimovic and Maxi Lopez are both doubts. Empoli are eleven points clear of the bottom three and last week's impressive 4-2 victory over Napoli has almost certainly guaranteed their Serie A status for next season. However, the Tuscan side have conceded at least two goals in their last five outings - which suggests their may be goals.